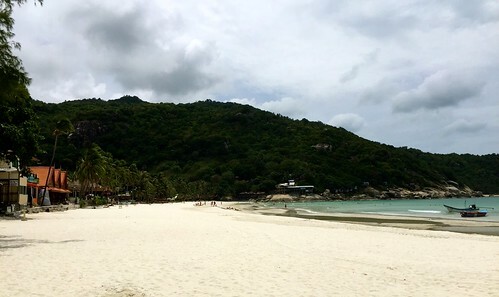 This is a useful travel guide about how to explore the island of Koh Phangan, Thailand. Many backpackers will already know about Koh Phangan island due to the popular event that is the Full Moon party. 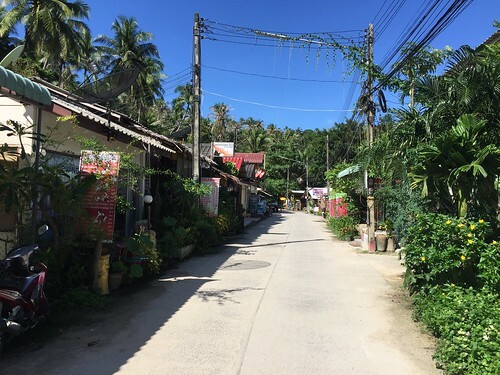 After living on the island of Koh Phangan for 6 months, I’m here to tell you about why you should visit Koh Phangan away from the Full Moon period and what you should discover around the island. If you would like to discover more travel information about other islands and destinations around Thailand, feel free to check out the DealChecker A guide to Thailand’s islands. 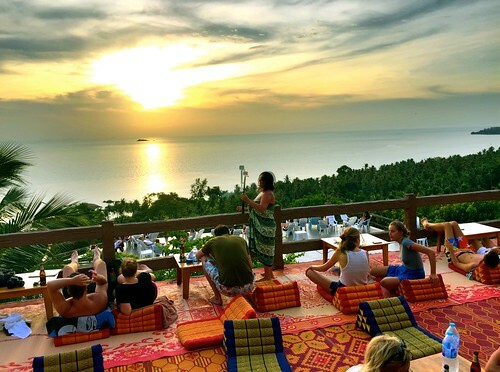 Let me tell you how you can get more out of Koh Phangan away from the busy Full Moon party week. 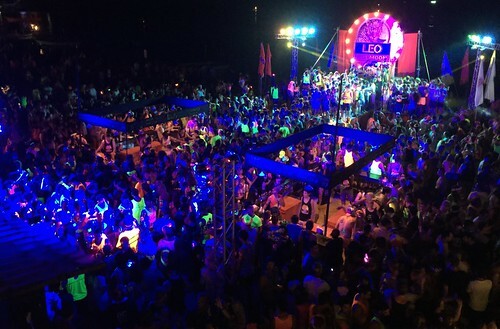 Thousands of backpackers head to Koh Phangan to take part in one of the most popular backpacker parties on the planet, the Full Moon party. 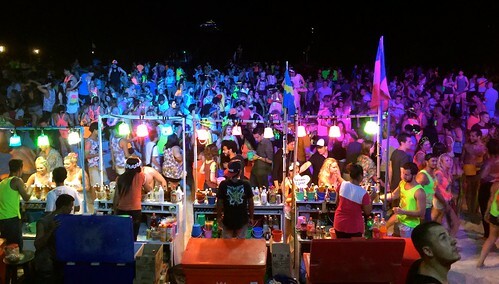 You will witness songthaew after songthaew rushing back and forth from Thong Sala pier to bring backpackers into Haad Rin beach, home to the Full Moon party. Hotels, hostels and resorts all put up prices for this period and some backpackers even travel over from Koh Samui and don’t even explore Koh Phangan at all. This is a great shame as Koh Phangan has so much more to offer. Many accommodation options require bookings months in advance and most places become fully booked. It’s rather common to see a minimum of one week booking period to secure your room as properties become rather sort after for this one week. 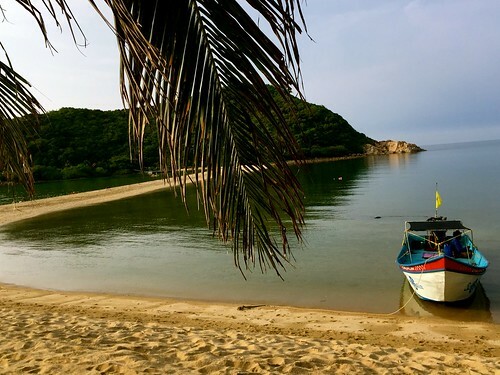 Step away from this one week of Full Moon party and you will quickly discover that you will pretty much get the whole island to yourself for the next 3 weeks! Koh Phangan do a wonderful job of cleaning Haad Rin beach after the Full Moon party is finished and the beach returns back to its original condition. It’s hard to imagine after the beach clean that the party took place at all! Enjoy Koh Phangan away from the Full Moon party and you will be amazed by what you will find. Here I’ve put together a few places worth checking out around the island. My favourite beach spot here in Koh Phangan, located north west of the island. 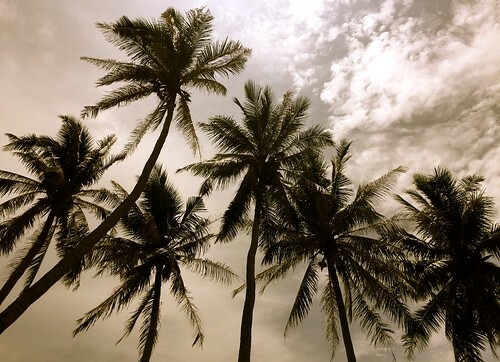 Here you can grab an amazing Coconut shake and enjoy a breathtaking sunset. It’s also my favourite spot to rent snorkelling gear and head out to see what you can find. You can also get an incredible Thai massage for a good price along the beach in one of the local beach huts. A great beach to relax, read a book, take in some sun and enjoy a sunset over the ocean. Between Haad Rin and Haad Yuan you will find a wonderful hiking trail that will lead you to Khao Ra Viewpoint which will then take you to the isolated beach of Haad Yuan. 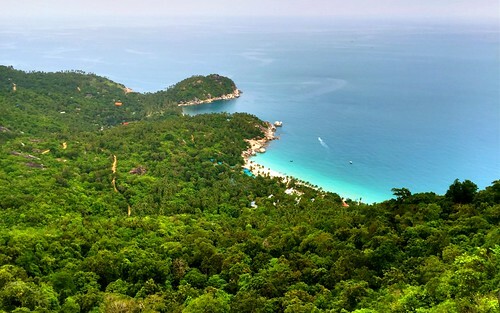 Khao Ra Viewpoint is the highest point on Koh Phangan and offers a stunning photo point over the island. The trail will take you around 3 hours to complete and you should leave in the morning to ensure hours of sunlight. 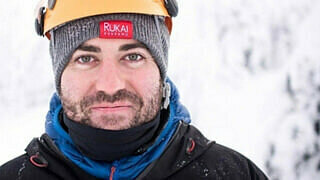 Also bring plenty of water with you as the terrain can be tough at some points. Be sure to tell your guest house where you’re going and be sure to follow the trail. Seek a local guide if you’re worried about getting lost. Once you’ve reached Haad Yuan its rather easy to hitch a Water taxi back to Haad Rin beach. Jump into a songthaew and head to the Amsterdam bar for one of the most relaxing and breathtaking sunsets on Koh Phangan. Situated in the foothills this spot gives you a great overview of the ocean and a great spot to enjoy a sunset. 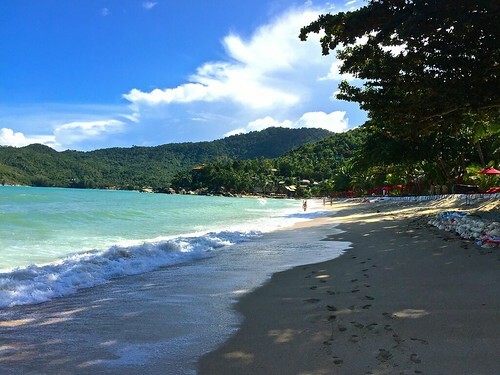 Thong Nai Pan Yai beach is located in the north of Koh Phangan and offers a nice cut away spot on the island to grab some sun. Enjoy the stunning beach and try some amazing local Thai food as well as enjoying a stunning sunrise, if you can get up early. 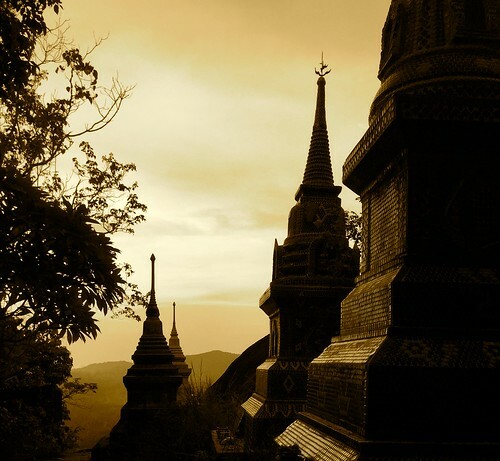 Wat Kow Tahm is a temple on Koh Phangan used as a silent retreat for those who wish to vow a duration of silence. If you’re ok respecting the rules of silence for those attending the retreat, your welcome to enter the temple area. 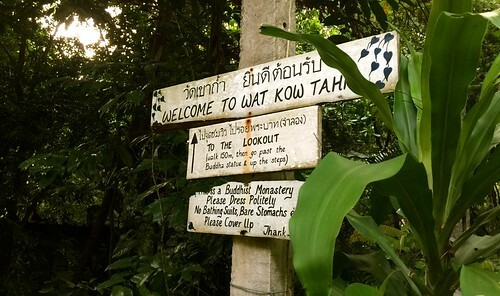 walk up to the temples peak, which is around 150 meters from the car park area just off Baan Tai road. Here you can explore the temple and get a great view over the island. 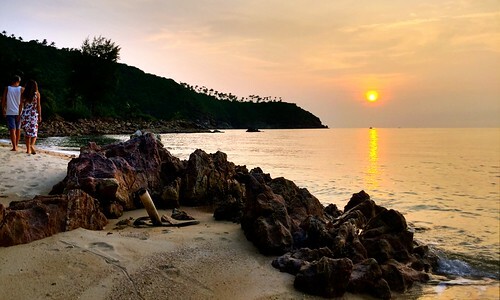 Like many spots around Koh Phangan you can witness a stunning sunset here. One of my hidden secrets to Koh Phangan which will take your breath away. 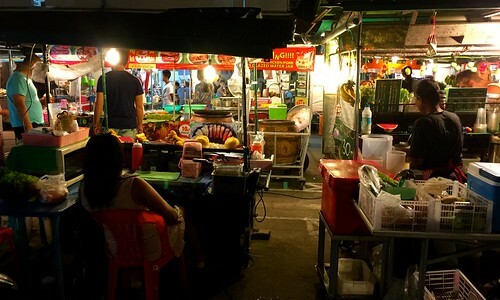 Located at the Thong Sala pier, the night market takes place every Saturday from 18:00 onwards. You can walk around the night market which is not to be missed if you happen to be in town during the weekend. Find endless amounts of street food on offer as well as many hand crafted goods from local islanders which make for wonder souvenirs to take back home. Normally I like to head here with an empty stomach and try a little bit of everything on offer. Great way to spend an evening and to try a bit of Thai culture. If you miss the night market, you can try out the food court area located in Thong Sala which has many Thai dishes to try. 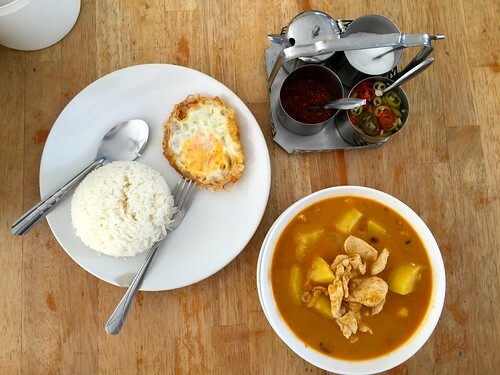 Head with friends to this spot and pick up a few Thai dishes to try out from local vendors. My favourite street vender here has to be the mango sticky rice, its always hard to say no to this one. 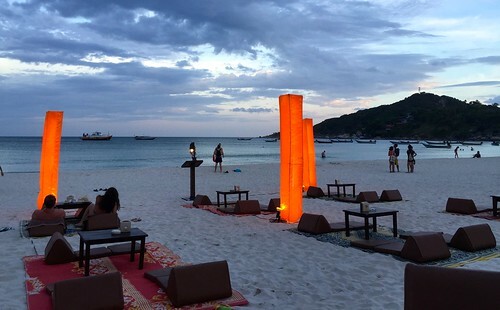 Grab an evening drink on Haad Rin beach. 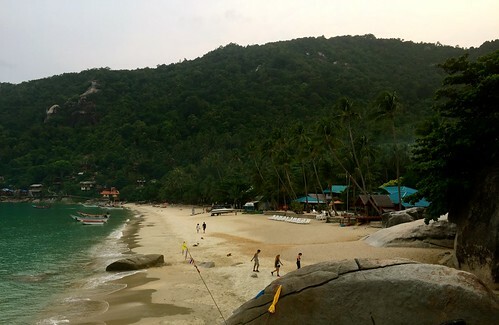 Haad Rin beach, the actual beach where the Full Moon party takes place is also not to be missed. Closer to the evening many of the bars along Haad Rin will put out beach seating so you can grab a table and order some drinks to enjoy the end of the day. Perfect to chill with friends and yet again, to enjoy a wonderful sunset. Koh Phangan really is sunset island! Head to “My Friend” restaurant for the best Thai food on the island. I will do a food guide to Koh Phangan in the future, but for now I will just refer you to My Friend (That’s the name!) located in Haad Rin which is not to be missed on the island. 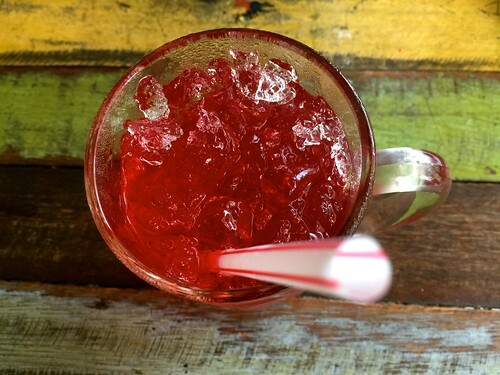 After you’ve enjoyed the beach, head on over to here for some authentic Thai food. My favourite dish is the Penang curry with a fresh coconut. I like the local setting and good vibes at this place, very friendly and always offers great local Thai food. Be sure to pass by and give it a visit. 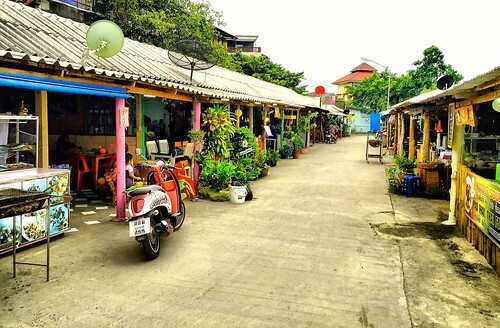 Grab a scooter rental at Thong Sala or hitch a songthaew and cruise around the island. Get lost and you never know what you might find. I’ve only mentioned a few of my personal favourite spots, but the island still has so much more to offer. I’ve found that away from the Full Moon party week you can get better deals and experience more from the island. You can spend longer on Koh Phangan with your travelling funds and the island is less crowded. Thank you for passing by and checking out my blog post all about the island of Koh Phangan in Thailand. I do hope you found this post useful and have many awesome take away tips to exploring the island of Koh Phangan. If you do have any questions, feel free to ask away in the comment section below. Very happy to help with your trip planning to Koh Phangan. Have a great time exploring one of my favourite islands in Thailand.